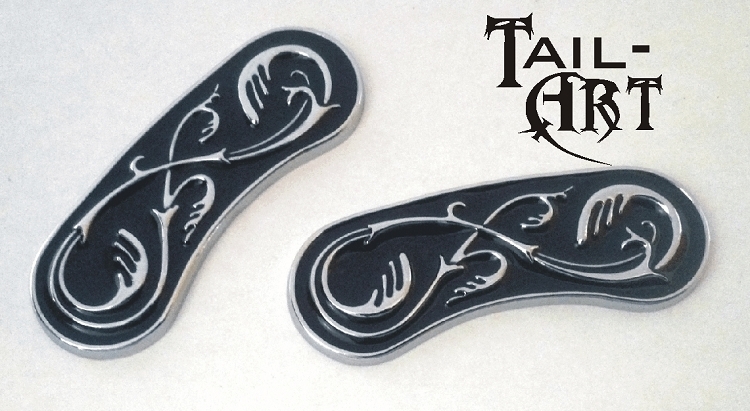 You guys have been asking for them and here they are: Brake Caliper Inserts with the Leaves & Vines design! These inserts stand alone or are a nice compliment the Cross Design frame inserts! These brake caliper inserts are diecast metal, chrome plated with black in the background just like our Softail Frame inserts. Repeat - these are metal inserts - NOT PLASTIC - with 3D leaves and vines. You won't find these brake inserts anywhere else. The inserts are sold by the piece, so if you want 2 inserts - one for the front wheel and one for the back wheel you need to order 2. Everything needed for quick and easy installation is included. 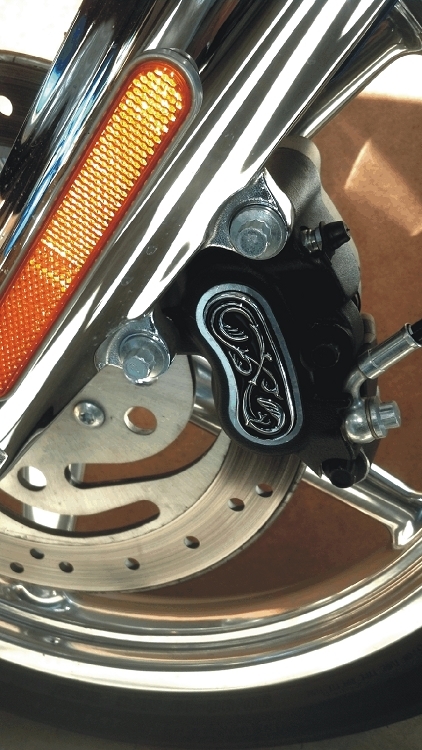 These inserts will fit all 2000 and newer Harley models (except Springer front calipers, '04 and later XL, '08 and later Touring and '06 and later VRSC models). Yes, these will fit the ROCKER! Take a look at your brakes and if you have the stock kidney-shaped insert area - these will fit!